So, look, it’s been a year of shocks and surprises. 2016 hasn’t been everyone’s cup of tea. But on a professional note, it’s been an amazing year for yours truly. I completed one novel, The Two O’Clock Boy, and a draft of the follow-up - as yet untitled - has been written. In the process, it’s been my absolute pleasure to be able to work with world-class publishing professionals – my editor and a whole host of enormously talented editorial, marketing and press people - at Sphere. I've learned an enormous amount along the way and it's been an absolute blast. My crime blog Crime Thriller Fella came to an end, but I set up this website, which I’m pleased to report is visited by more and more people from all corners of the world. Hopefully, in the weeks and months to come, I’ll update it more – and may even, who knows, resurrect a few popular features from CTF. I'm very proud of my own little corner of the internet. I went to Harrogate Crime Festival and Crimefest in Bristol where I met a host of fabulous authors, many of whom I have long admired as a reader, and bloggers and all kinds of people who live and breathe books and publishing. It never fails to amaze me how supportive and kind the crime-writing community is. This was the year I made my crime panel debut at Iceland Noir in the stunning city of Reykjavik, talking about suspense in novels, and that was a huge thrill for me. Proof copies of The Two O’Clock Boy were sent out this year to authors, reviewers, bloggers and enthusiastic readers. People finally got a chance to read The Two O’Clock Boy and the response to the book has been wonderful. As I write this, I’ve had 46 reviews already on Amazon - the book isn’t even released till April 20 - and more than half of those ratings are five stars. 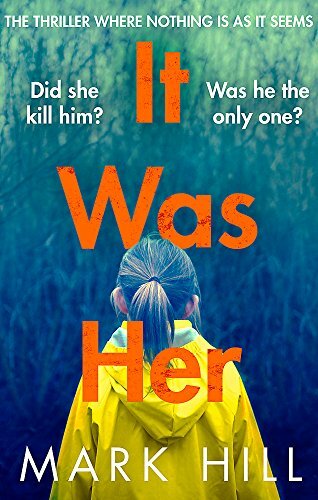 Some brilliant crime bloggers have already reviewed it – and you can read many of those in the News section of this site. I’m thrilled to say The Two O’Clock Boy has been sold internationally to a number of countries. Just this week it came out in Germany, retitled as Ich Vergebe Nicht – I Cannot Forgive. It’s a beautiful cover, and I can’t help but run my fingers across its embossed title whenever I see it on my shelf. So, there you have it, I am now officially a paperback writer – in mainland Europe, at least. Creatively, 2016 has been a challenging and satisfying year. Writing a novel is like a slow-motion rollercoaster. It’s intense, full of highs and lows, and occasionally terrifying – for me, anyway. But writing the first in the Drake series has been the most brilliant creative journey and I've enjoyed it all enormously. When at times I find myself becoming hugely frustrated at the difficulty of getting the story I really want to tell – so perfect and compelling in my head - onto the page, I’m quick to remind myself that what I do is a labour of love. Writing is my dream job, it’s something I’ve always wanted to do - and I’m a bloody lucky man. So a lot of things have happened in 2016. And next year is going to be a good ‘un, I hope. There's a big announcement coming up in the New Year, for one thing. And then - ta da! - The Two O’Clock Boy is released in paperback on April 20th. It'll be in the shops and everything! Meanwhile, work continues on the second book in the series. I can totally confirm it heaps more trouble on the heads of DI Ray Drake and DS Flick Crowley. Believe me, if you thought The Two O’Clock Boy was a intense and twisty, you ain’t seen nothing yet. So I’m hugely grateful to everybody who has read or reviewed The Two O’Clock Boy so far. Or blogged, retweeted or shared news about my crime debut. I hope, if you haven’t read The Two O’Clock Boy already on ebook – or maybe even if you have – you’ll look out for the paperback. Thanks for a hell of a ride in 2016. Merry Christmas and a Happy New Year from Mark, Ray and Flick.